Every year thousands of people who suffer persecution flee their home countries to seek refuge in the United States. After surviving untold horrors, these people have no choice but to leave everything behind: their homes, their jobs, their communities and even their families. 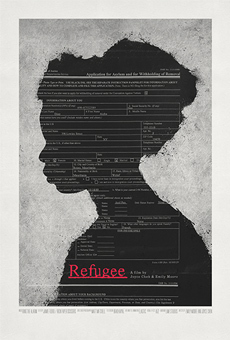 'Refugee' tells the story of Aicha Diop, a West African refugee who made the biggest sacrifice of all when she boarded a plane for the US in 2003, leaving her 5 children behind. Despite the trauma of her past, a life-threatening illness, and the harsh realities of life in the South Bronx, Aicha perseveres, driven solely by the desire to provide her children with a better future and to be reunited with them once again. 'Refugee' is the remarkable story of a mother's love, and how the power of hope can propel us through insurmountable obstacles, even after losing everything.